The foxtrot, believe it or not, is actually named after the man who ‘invented’ it, or at least brought it to mainstream attention. Harry Fox was the man who introduced the dance to the world in about 1913 and it was an instant hit which has endured, and some 100 years later is still one of the most popular types of dance. Harry was a vaudeville actor who had changed his name to Fox to fit with his profession. He was appearing in shows in New York when he was asked to come up with an act which would fit in with dance shows. He was performing at the New York Theatre, and, wishing to capitalise on the high profile of dance, the roof was turned into a jardin de danse. He devised a performance based around some little trotting steps to music, and named it the foxtrot. Professional dancers saw this movement and decided to try to emulate it – culminating in a dancer winning a contest with this hitherto unseen style. The introduction of the foxtrot to wider dancing society heralded a new dawn for ballroom dancing. Until the foxtrot hit the scene, there were only dances which featured a single beat rhythm. But the foxtrot introduced a slow count for the first time and meant that dances with more speed and energy were seen on dancefloors around the country. But, having said that, many other aspects of the foxtrot resemble traditional ballroom dancing in a variety of ways. The foxtrot, despite being faster than the older ballroom styles, does still use a ballroom dance hold rather than any more modern Latin holds. It does advocate the use of body contact. Although, the couple are permitted to release the body hold more often than in other ballroom style, which makes for an altogether more relaxed style of dance. The foxtrot flows more than other types of dance, perhaps due to this relaxation of the hold. But its continuous moves did hamper its development away from formal dancefloors and as nightclubs became more popular, so the dance had to evolve to survive. The moves did become less continuous – although in dance competitions, the smoother moves are still used. This became known as on the spot dancing, as it could be done with limited space wherever the dancer wanted to foxtrot. 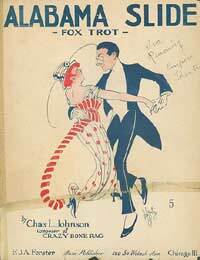 Nearing 100 years old, the foxtrot has lost none of its popularity among the dancing elite. It may not have the traditions of the waltz or the sexiness of Latin dances, but it retains a freshness which surely stems from being an invented dance. It is not known what Harry Fox thought about his dance becoming such a worldwide hit – to the extent that it even had English and American versions – but it cannot be doubted that he would be extremely proud and perhaps not a little surprised at the way it has stayed around for a century. There can be no doubt that the foxtrot has had a massive influence on dance today with several popular styles, such as the lindy hop and the quickstep, originating directly from the foxtrot.